WHAAAAT?! Super cheap flights to Seychelles for €286!! This is indeed super exciting week for all hunters of low cost flight. After incredible deals to Sri Lanka, Maldives or Thailand we bring you one more treat: Seychelles! Have you thought you will never be rich enough to visit this paradise island? You are wrong! Today’s perfect day to book your ticket! 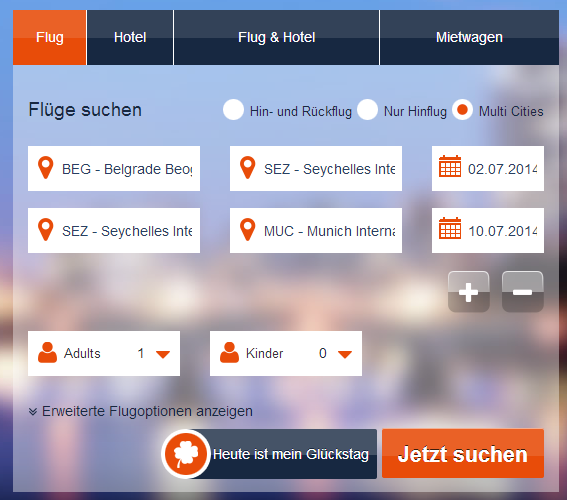 Multicity tickets Belgrade – Mahe – Munich are now available for insanely low €286! This is most likely error fare so you better book it NOW before it’s fixed! Book it only at AirFastTickets.de (use Google Translator if you don’t speak German) for the lowest price, or in English at BudgetAir for €334! « Lonely Planet promotion: all ebooks for €6!